The Blue and John Crow Mountains are a UNESCO World Heritage site that covers a forested mountainous region in the south-east of Jamaica, which provided refuge first for the indigenous Tainos fleeing slavery and then for Maroons (former enslaved peoples). The earliest date for a pre-colonial presence in Jamaica is c. A.D. 650, much later than some islands of the Greater Antilles and indeed for much of the Caribbean. This unusual circumstance may not be a true reflection of reality, as there might exist earlier phases of occupation that researchers are not yet aware of. The first inhabitants, whose precise origins are still unknown, are not to be confused with the Taíno peoples whom Columbus met when he arrived in 1494—not only do they pre-date all Taíno groups, but their material culture reflects a different set of traditions from that of the Taíno. They were technologically adept at stone tool manufacture, shell tool and ceramic production, and possessed a distinctive form of red pottery belonging to the Ostionan Ostionoid cultural complex. In Jamaica the ceramic repertoire of these people is known simply as “Redware.” The earliest inhabitants might have migrated off the island of their own accord or perhaps assimilated into later Taíno groups through a process of social and cultural interaction over time—their cultural history and demise still remain highly problematic. 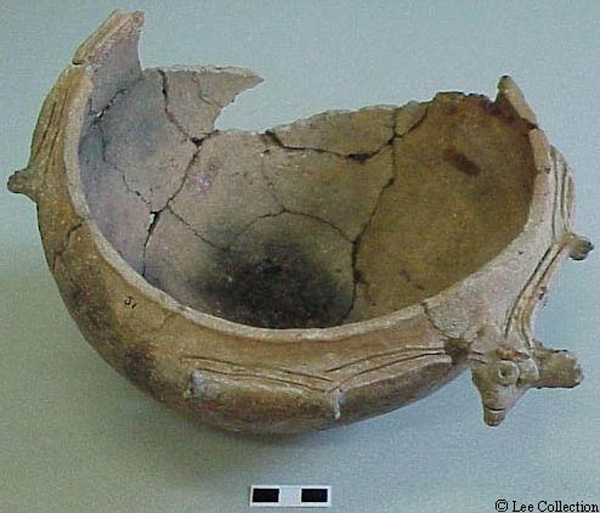 The bearers of this redware pottery had a distinct preference for coastal habitation, in contrast to later Taíno populations who often preferred inland locations, especially on high ground overlooking the sea. 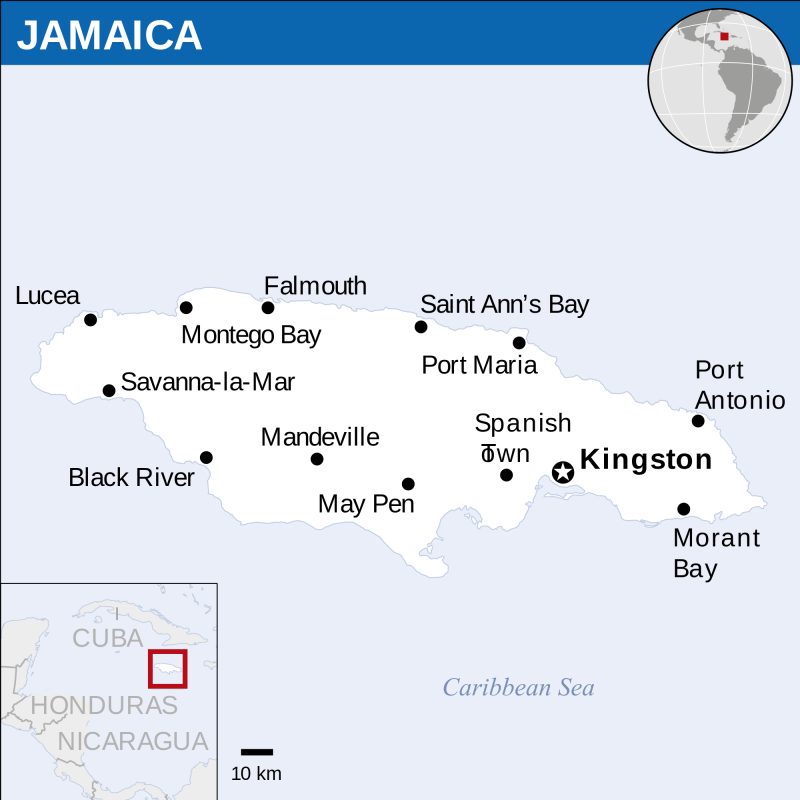 Clusters of sites with Redware ceramics have been located on the southwest, west and north coasts of Jamaica. Notable among these are Little River, Alligator Pond, Paradise Park, and Great Pedro Bay. The Taíno phase of Jamaica’s occupation (c. A.D. 877−c. 1490) is much better documented by both European written records and archaeological discoveries. One might argue that the TaÍno are the first truly indigenous peoples of the Caribbean, meaning they themselves are not migrants from outside, but rather, are the result of a distillation of a number of immigrant traditions that had already coalesced and transformed over hundreds and thousands of years to form an entirely new entity we now call ‘Taíno.’ This process is thought to have taken place across other islands of the Greater Antilles, before Taíno groups moved into Jamaica. Taíno culture bears characteristics of both the Casimiroid tradition originating in Belize (former Mayan territory), and the Saladoid tradition from South America. The Jamaican Taíno culture is known archaeologically as Meillacan, after Meillac, the largest site on the island. Locally the term ‘White Marl,’ based on the type-site and predominant pottery style, serves to distinguish the Jamaican variant of Meillacan culture from similar cultures found in Cuba and Hispaniola. Meillacan settlement spread across much of Jamaica except for the interior mountain range. These people were less dependent upon marine resources than Ostoinan peoples, and employed a more varied subsistence strategy, such as the hunting of small game as well as agriculture, particularly cassava cultivation. Some notable sites of the Jamaican Taino (and there are well over one hundred) are: Meillac, White Marl, Chancery Hall, Bellevue, and Green Castle. The European arrival (Spanish, 1509; British, 1655) and the resultant Taíno genocide have left their mark on Jamaica’s past, but so too did the proud resistance movements of Maroon societies. Throughout the Caribbean, “Maroon” is the term given to the formerly enslaved who escaped plantations and fled into the wilderness regions, the fringes of plantations, or to other nations entirely, to establish communities of their own with their preferred set of cultural traditions and lifestyles. Maroon freedom fighters in Jamaica fought a lengthy campaign against the British after the Spanish left, and generally undermined the colonial presence by attacking plantations, rescuing those still enslaved, and stealing or killing livestock on plantation lands. Eventually Maroon and British forces signed peace treaties to bring an end to the First Maroon War (1720−1739). Maroon descendants from this time period still live in their traditional territories, such as in the villages of Charles Town and Moore Town in Jamaica’s Blue Mountains. In 2015 the Blue and John Crow Mountains site was inscribed onto the UNESCO World Heritage List, thus acknowledging the Outstanding Universal Value of Nanny Town and its envirions, as well as the botanical biodiversity of the area. Nanny Town is named for the fierce and accomplished female resistance leader' Nanny,' renowned for her military prowess and alleged mastery of supernatural powers. Both archaeology and history are contributing actively today to a better understanding of the Jamaican Maroons. Historical archaeologists have been especially concerned with the culture of resistance in Jamaica and across the Caribbean region. 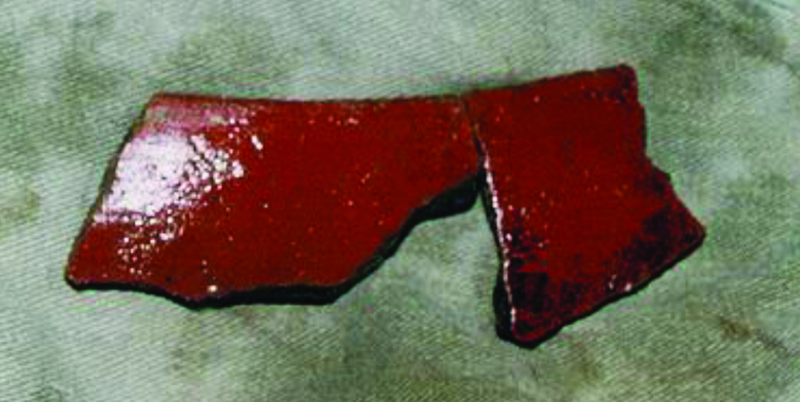 Example of the earliest ceramic traditon in Jamaica. Adapted from Caribbean Quarterly 55 (2): 30. Lee Collection CD-ROM by P. Allsworth-Jones & Esther Rodriques, in Allsworth-Jones, Pre-Columbian Jamaica, 2008. 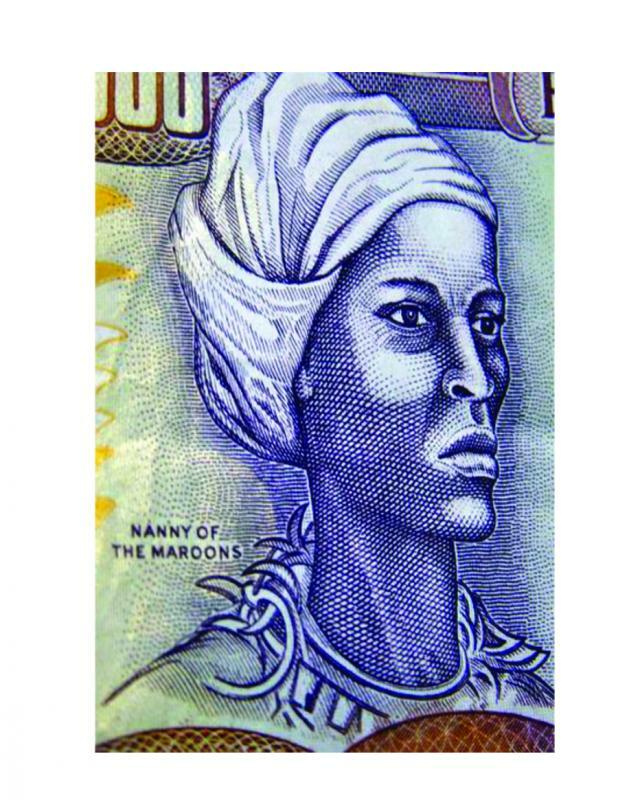 Maroon resistance leader Nanny, as depicted on the Jamaican $500 bill. See the links below for some of Jamaica's most celebrated attractions. Image of Devon House. 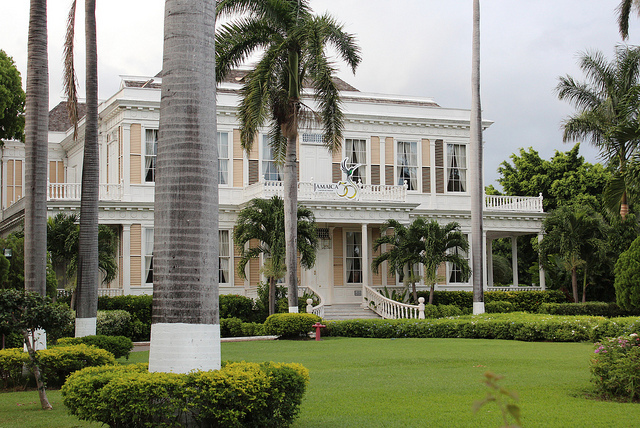 One of Jamaica’s most celebrated historical landmarks, The Devon House Mansion is the architectural marvel built in the late 19th century by one of Jamaica’s first black millionaires, George Stiebel. 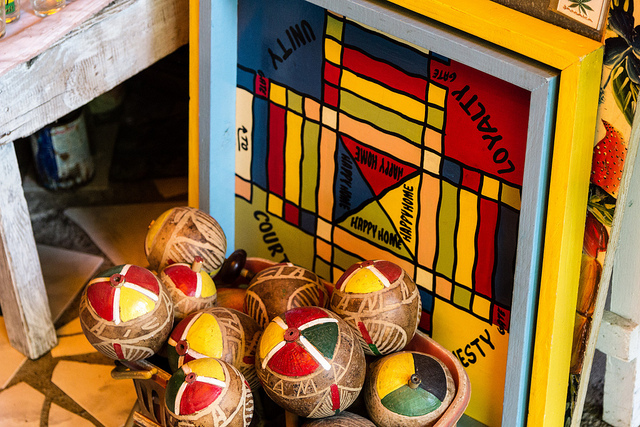 The arts and crafts traditions of the Jamaican people span a broad range of specialty areas including music, dance, craft-work, art, and food and drink—all of which have been exported internationally. Many also reflect the national motto of Jamaica "Out of Many, One People." Be sure to sample a few events on the annual calender of Jamaica. 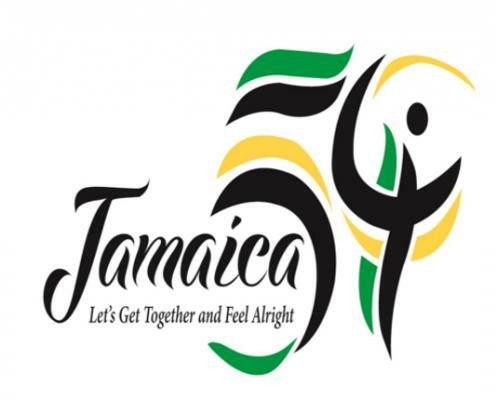 Jamaica has a wide range of cultural celebrations which celebrate music, historical figures and events. Here are a few cultural organizations and institutions in Jamaica. 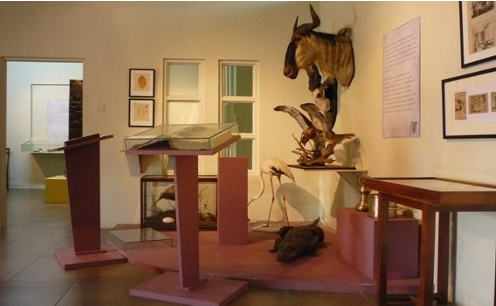 As the repository of Jamaica’s National Collection, the National Museum Jamaica houses over 17,000 historic, ethnographic and archaeological artefacts that are germane to Jamaica’s material culture from the prehistoric era to the contemporary. Jamaica has several course and program offerings that can help you establish a career in the heritage industry. Click on the links below for each opportunity.